Hi Loves! Recently we've been getting several emails/messages with similar questions, so we thought it'd be fun to chat with you all and answer some of your questions in a post! We met sophomore year in high school through mutual friends, but we're both not sure how we specifically became friends. In high school we had "open lunch", so we used to go to a local coffee shop every Tuesday and thought we were the coolest because we would walk in and order "the usual". In college, we would catch up at this same place and have long discussions about all our favorite bloggers and the new trends we wanted to try for ourselves- eventually leading to us deciding to start our own blog! We've created lots of memories throughout our many years of friendship, along with our other two best friends from high school, Maggie and Santhi. The four of us have traditions that we carry on each year including: Vacations, Christmas dinners, and returning to our hometown to relive old times! This is our first picture together! 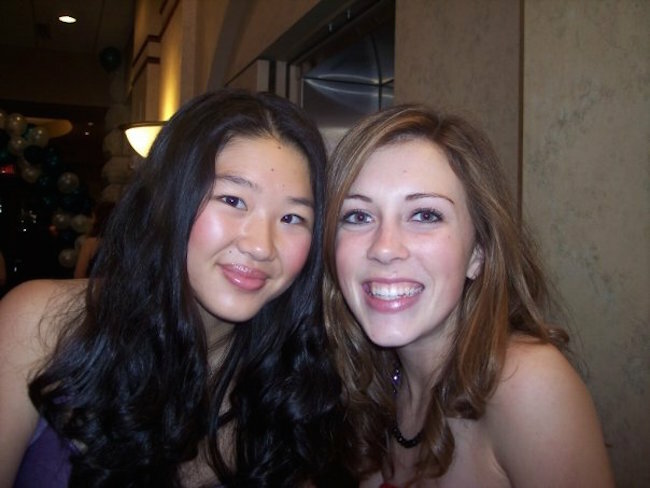 We were sophomores in high school at a winter formal! 2) Why did you start a blog together? Check out our first blog post here! Or our About Us Page - to find out more! 3) Which camera/lens do we use? 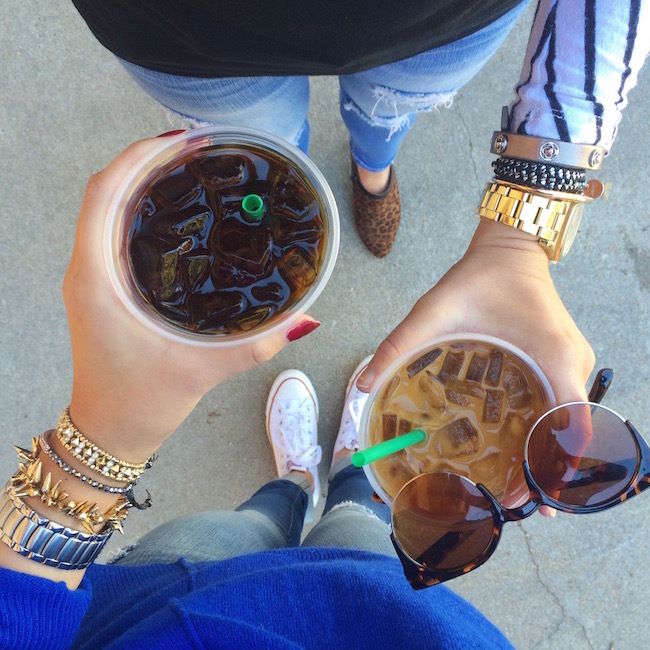 4) What's your go-to coffee? 5) Who are your favorite bloggers to follow? We've always followed Aimee Song (Song of Style) and Arielle Charnas (Something Navy) but they really became our all-time favorites when we followed them on Snapchat and got to see their fun and laid-back personalities every day! They both have such amazing style on their blogs, and also seem like such chill girls that we would die to hang out with! Also, if you have any other questions you'd like us to answer in the future let us know! You can always email us at simplyduostyle@gmail.com or message us on any of our social media! Enjoy the rest of your Sunday evenings! What a great idea to post such QA! It definitely make your blog more personal. As a reader, I really enjoy knowing The WHY that stands behind every awesome blog that I follow. I really loved your story, ladies!